Only the one Clasic Wheels MG was in attendance at Assen. 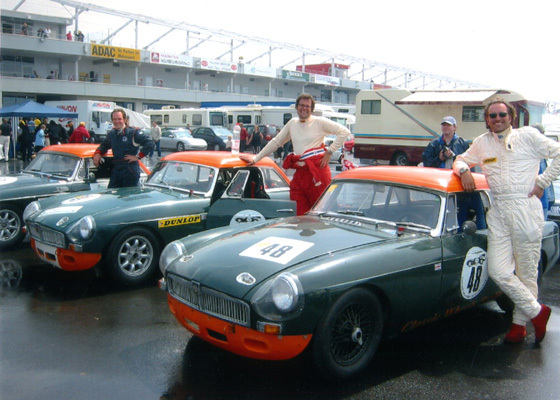 Under cover with our friends and fellow MG B racers the Müller brothers. Lending our 'competitors' (or should that read 'compadres'?) a helping hand. Clasic Wheels put in a sterling performance at Oschersleben in the Preis der Stadt Magdeburg. Fellow MG B racer Henrik Müller wishes Stefan Epmeier good luck before first qualifying. Bernd Kobold putting the Lady through her paces. Franc "Höki" chases Cornell Müller into the morning sunlight.